Not all of them. 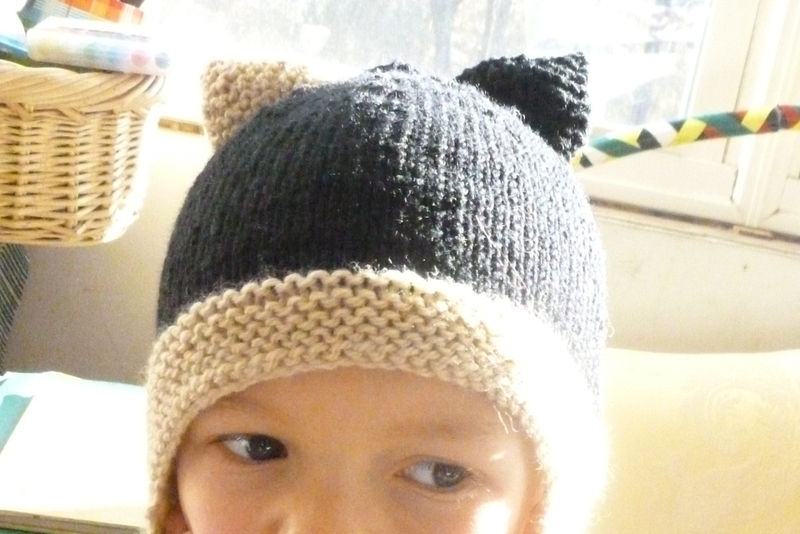 But when Levon saw Lulahs’ hat with kitty ears, he immediately began planning his. It was my first post-holiday project. Now all the kitties are looking happy with their warm fuzzy ears. What can we put our hands on next? 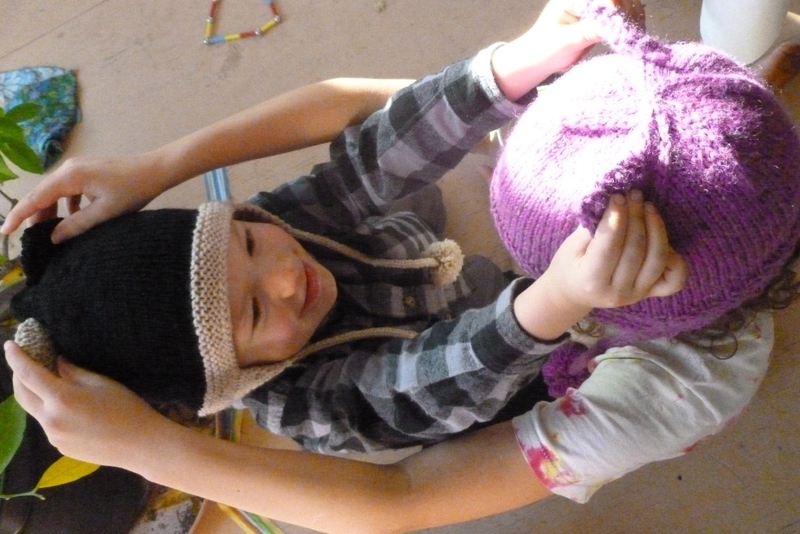 This entry was posted in coree's posts, hands on and tagged children, hand-knits, handmade, winter by Coree. Bookmark the permalink. thanks – its great fun to share them with you, too! thanks – they were fun and easy too – a winner all the way round. have a great day! My wife is not feeling well today and she looks pretty miserable. We are are both catching up with a backlog of emails by the warmth of the cook stove in the kitchen. 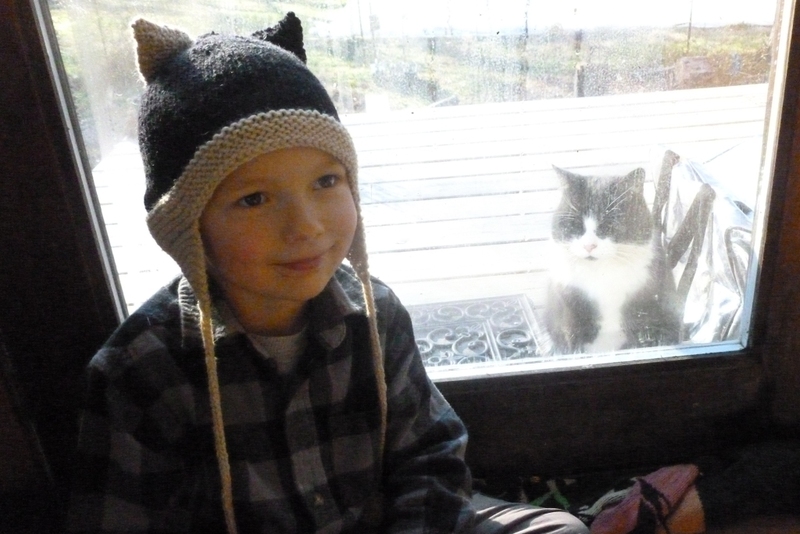 I read your post and turned my monitor to show her the picture of Levon, his wonderful new hat, and the handsome kitty at the window. The hat is wonderful and put a smile on Joanna’s face. The cat is also wonderful and reminded us both of one that used to be here at the farm … his name was Gandalf. Thanks for sending smiles our way. So glad to pass a ray of sunshine to you! I hope Joanna feels better soon. We love our farm kitty – I will write about him one of these winter days. It takes all kinds of companionship to make life round.